One of modern horror's most influential creators has passed away. 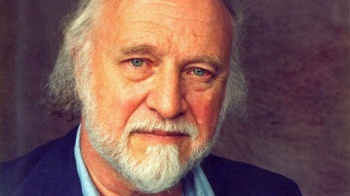 It's pretty safe to say that everyone here, at some point, been affected by the work of Richard Matheson. As one of the premiere horror and science fiction writers of the 1950s and 60s, Matheson either personally crafted one of your nightmares, or inspired someone who did. Known in particular for I Am Legend, The Shrinking Man, What Dreams May Come, and several memorable Twilight Zone episodes, Matheson was a defining force across literature, television, and film. Unfortunately while his work has thus far proved immortal, Matheson was very much a man, and has passed away at the age of 87. I Am Legend is arguably Matheson's best known work, detailing the physical and psychological struggles of a lone human in a world of vampires. George Romero later named I Am Legend as a major inspiration for Night of the Living Dead, connecting Matheson to just about every zombie apocalypse story that followed. Matheson also penned several episodes of the original Twilight Zone, including William Shatner's iconic Nightmare at 20,000 Feet, and Steel, which was adapted into 2011's Real Steel. Perhaps his greatest contribution however was the inspiration provided to a generation of writers. Stephen King, Neil Gaiman, Anne Rice, and many more have named Matheson as a major influence on their work, while three of Matheson's four children became writers themselves. Matheson had a rare impact in the literary world that will continue long after he, and perhaps even we, are gone. For that, he will be deeply missed.